Tube Inspection Software - Data Overlay Camera System (DOCS) - CMM Inc.
Data Overlay Camera System (DOCS) is the premier software platform for the measurement of tube and wire. 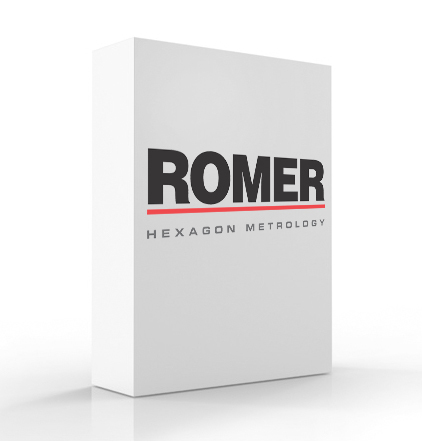 Designed specifically for that purpose, DOCS works in conjunction with the ROMER tube measurement probes to verify and document proper bend radius and length dimensions. No longer is adjustment of parameters on CNC tube bending machines a process of trial and error. With the DOCS bender interface, corrected bend data can be sent from the ROMER arm directly to the CNC bending machine control. Besides tube and wire, DOCS is able to inspect profiles such as brackets, flanges, bosses or other geometric features attached to tube components. In situations where tubes are not perfectly smooth or round, the operator can take manual scan measurements to increase accuracy. Audio feedback confirms that the points measured are sufficient for a given step of the part program. Multi-sensor part programs combine data collected from either ROMER tube inspection probes or ball probes into a single inspection program. Ease of use and faster production start-up insure maximum efficiency and lower scrap costs. Auto Measurement Mode: Instruction based window automatically guides the user through the inspection process, eliminating the guesswork of tube inspection. Manual Scan Measurement Mode: In situations where tubes are not perfectly smooth or perfectly round, the operator can take measurement into their own hands and scan the same section of tube as many times as desired to increase accuracy. Multi-Sensor Part Programs: Combine data collected from either the ROMER tube inspection probe or ball probes (for non-tube features of an assembly) into a single inspection program. Real-Time Audio Feedback Measurement: DOCS will communicate with the operator using a variety of audio tones indicating whether the data collected is sufficient for a given step of the part program. Bend Radius Measurement: Using a special quick scanning capability DOCS is capable of measuring bend radii. Hard Point Fit Alignment: When only a few features of a tube are critical for final assembly, DOCS will expedite the inspection program focusing only on the critical dimensions of a profile. Tube Fixture Measurement: Measure fixtures to ensure their accuracy and eliminate the need to send the fixture to an outside resource for verification, you can even reverse engineer tube geometry directly from a fixture. Reporting Capabilities: DOCS is capable of creating comprehensive reports of tube measurement results and exporting into a standard HTML format. Use the digital camera on 6 axis arm models to document tube setup and holding fixtures used during measurement. The unique Transprojection™ feature allows tube measurement results to be projected and aligned over an actual digital photo of the part, providing a vivid depiction of part setup and context. Multiple DOCS bender interfaces are available for a variety of CNC tube bender makes and models. Each interface is sold separately.